A Day in the Life of a Creative Solopreneur: Christine Herrin of Everyday Explorers Co. This week I hang out in Manila with Christine Herrin, a graphic designer, hand letterer, and the creative entrepreneur behind the Everyday Explorers Co.! She also happens to be one of my oldest and closest friends. I visit her in her studio in Escolta and we chat about the life of a working artist and solopreneur. Hope you enjoy this new in-the-city episode and that it provided you with some useful insight! On today’s vlog, I join Royal Air's inaugural flight from Clark Airport to Caticlan Airport (Boracay)! Along the way, I share some real talk on the results of my decision to invest so much time and money in travel. I love to fly so it was a treat to be one of the very first to experience this flight. I found Royal Air's 96-seater BAe 146-100 to be comfortable, with more legroom than much larger Airbus A320s operated by other airlines. Most of us have been told to live life in a certain way, but the truth is that there are so many ways to live a good life. This is another short, off-the-cuff episode where I talk about how the straight life path most of us are expected to follow can become a source of unnecessary angst that hinders you from fully living the kind of life you choose. I cite another passage from Getting There: A Book of Mentors that many of my Instagram followers responded to a few days ago that shares the words of Jim Koch, founder of Boston Beer Company. Nietszche once said that "No artist tolerates reality." Today I share Chase Jarvis's inspirational interpretation of this quote that can help you overcome your limiting beliefs and embrace your potential as an artist. About my channel: Aside from my films, I post weekly videos about life an emerging artist, in the hopes that the things I'm learning and doing will be helpful to you on your own journey, either as an artist or a person who wants to live a more creative and fulfilling life. This week I'm coming to you from The Seedling Eco-Retreat and Artist Residency at Sagada, Mountain Province, in the Philippines. 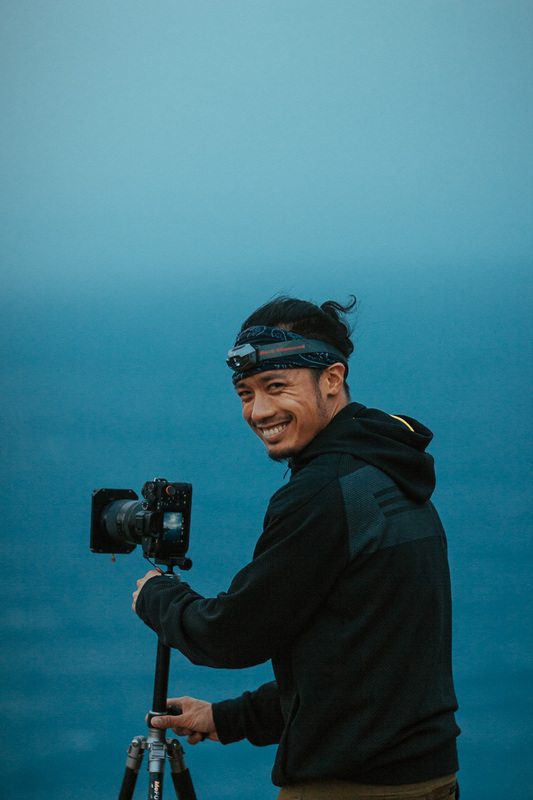 Today I share one of my favorite photographers' story on how focusing on shooting what you love can lead to your dream career in photography. Chris Burkard is one of the world's most well-known and successful adventure photographers and his advice is simple: SHOOT WHAT YOU LOVE. Welcome to my channel! Aside from my films, I post weekly videos about life an emerging artist, in the hopes that the things I'm learning and doing will be helpful to you on your own journey, either as an artist or a person who wants to live a more creative and fulfilling life. Read the full interview with Chris Burkard here. Watch his amazing film Under an Arctic Sky on Netflix. How do you think of original ideas if you're not naturally creative? I learned that a simple change of mindset can unlock the creativity we all are capable of. About my YouTube channel: Aside from my films, I post weekly dispatches from my life as an emerging artist, in the hopes that the things I'm learning, doing, and dealing with will be helpful to you on your own journey, either as an artist or a person who wants to live a more creative and fulfilling life. I recently watched a documentary on the history of the Boeing 747 Jumbo Jet, and I was struck by how insane, stressful, and virtually impossible the challenges were that the engineers faced, betting the entire company on a plane that may never take off. It ended up revolutionizing air travel, putting more people in the skies than anyone ever imagined. It was a contentious, seemingly unwinnable battle from start to finish to put that plane is the sky --- yet all we see and experience is the joy of flying in a world-changing airplane. I'd have to say my #1 takeaway from the past year or so from personal experience, reading books, and watching documentaries like that, has been that my expectations for how easy accomplishing anything would be --- how much time and work it would take --- have been all grossly, stupidly out of touch with reality. Good things take time, work, and persistence, and great things take an unimaginable amount of them. Period. And even then, with all of that, success isn't guaranteed one bit. That is precisely why great things are so uncommon in the first place. Even though we all already know there's no such thing as overnight success, I think most stories of success we read about still fail to do justice to the amount of sacrifice and persistence required to achieve anything. So now the task is to have your work ethic and stomach for enduring false starts and failure catch up with your sky-high ambitions. Not easy, but if you believe you're born to fly, you don't have a choice.